Albany, New York (September 23rd, 2016) – Since merging in July, RealtyUSA and Howard Hanna Real Estate Services are one team, moving in one direction. Because of this, RealtyUSA has expanded its range of services for consumers and now offers one of the best Howard Hanna programs, the 100% Money Back Guarantee. This exclusive program gives home buyers added confidence to buy while also giving sellers a distinct marketing advantage, making their home stand out from others on the market. Unlike any other local real estate company, RealtyUSA now stands behind the value of each property sold. If the buyer of a guaranteed home listed by RealtyUSA is not satisfied, the company will buy back the home for 100% of its purchase price. Home buyers who participate in this program are assured of the value of the home that they are purchasing. Out-of-state buyers who may be unfamiliar with the neighborhood are reassured of the quality of the New York market. Home sellers can rely on the promise that the company stands 100% behind the value of the homes that are listed. Through the program, homes sell faster and at a higher price. As a part of the third largest real estate company in the nation, RealtyUSA is committed to creating a seamless, worry-free experience for both home sellers and buyers. Customers can enjoy the convenience of mortgage and insurance services from the same provider and with the quality expected from the New York real estate leader, RealtyUSA. 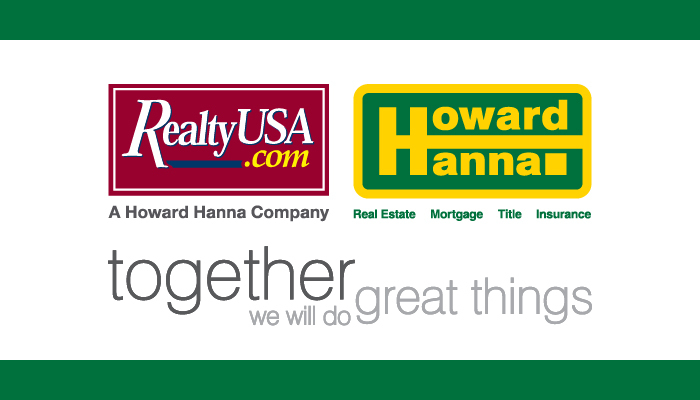 Howard Hanna Real Estate Services is the 3rd largest real estate company in America, the #1 privately-owned broker in the nation, and the largest home seller in Pennsylvania, Ohio, and New York. The family-owned and operated real estate company specializes in residential and commercial brokerage service, mortgages, closing and title insurance, land development, appraisal services, insurance services, corporate relocation and property management. With 270 offices across PA, OH, NY, VA, MI, WV, NC and MD, our more than 9,000 sales associates and staff are guided by a spirit of integrity in all aspects of the real estate process.